Dashboards help you focus on what matters. Dashboards determine where your revenue is coming from and who is responsible for your success. Our dashboard builder empowers a deeper awareness of your firm. Powerful dashboards to guide your decisions. So easy to create your own dashboards. Build your own dashboards by dragging components from the component library. Select from hundreds of pre-configured charts and tables to quickly create reports that reflect the things you care about. Keep them for personal use or publish them to your entire firm. Most components let you drill in to see more data. FinFolio makes it easy to create interactive dashboards that show different levels of analysis. 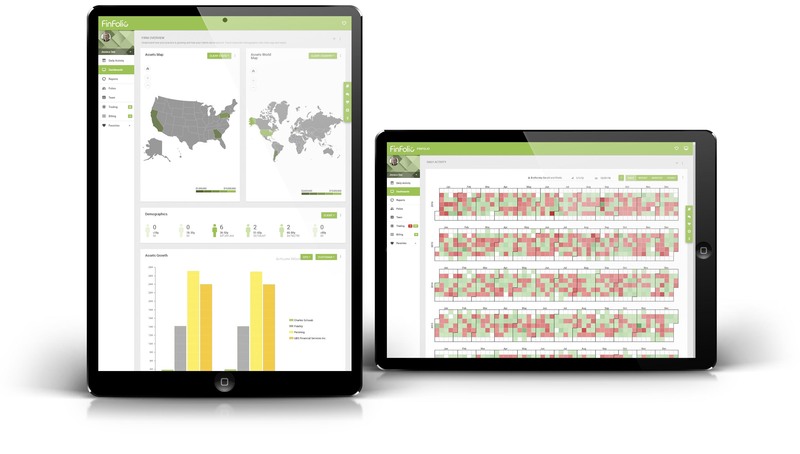 Configure your dashboard to have one or many sections, with multiple types of data. Too often diagrams rely solely on one type of data or stay at one level of analysis.